The Westin St. Francis sits right beside the vibrant Union Square with shopping all around and the world famous Cable cars just a short walk away. 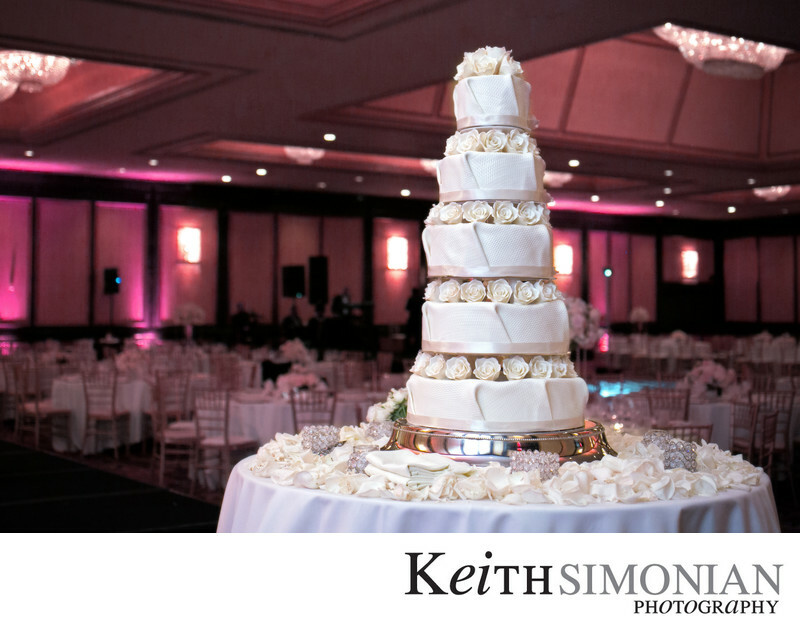 This five layer rose decorated cake is in the Grand Ballroom which is over 10,000 square feet and can accommodate more than 200 guests and still have room for a large dance floor as you party into the night. Location: The Westin St. Francis San Francisco on Union Square 335 Powell St, San Francisco, CA 94102. 1/160; f/3.5; ISO 4000; 50.0 mm.